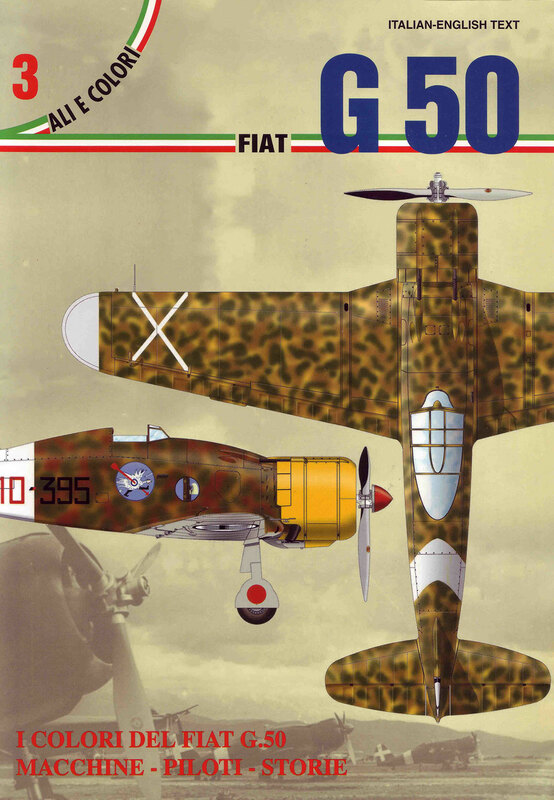 Fiat G.50 of 150a Squadriglia, 2° Gruppo Autonomo C.T., Grottaglie, October 1940. Three-tone scheme of Green and Brown blotches on Sand background, with Light Grey lower surfaces. National insignia on white background under the wings and lacking above. Second Gruppo was originally depending by 6° Stormo, based in Ravenna and characterised by a Red Devil badge. Early in June, soon after Italy entered war, this Gruppo was moved to Bari and Grottaglie airfields to operate air patrol missions over the Otranto Channel and the Apulian coast. In October the Gruppo gradually left its old CR.32s for the new Fiat monoplane. In spite of the group autonomous status, the spirit of the Devil continued to be felt by many pilots, continuing to paint the famous Stormo badge on their new mounts’ fuselages. This unit operated in the early stages of the Greek campaign, being later posted to North African at the end of the year.